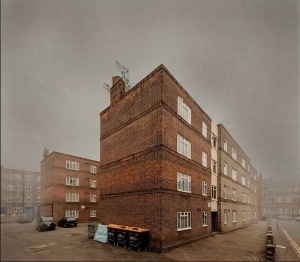 Residents of the New Era estate in Hoxton could have a victory on their hands after the Guardian reported the estate may be sold to an affordable housing provider. US asset management firm Westbrook Partners bought the estate in March 2014, but faced fierce opposition after revoking an agreement not to increase rents to market rates and evict families who couldn't pay. The highly public campaign against rent increases, supported by London Mayor Boris Johnson and comedian Russell Brand, has become symbolic of the iniquitous nature of the capital's housing situation and now appears to have forced Westbrook to back down. Hackney council wrote to Westbrook to warn the company to treat residents with 'respect and consideration' when it became clear that the company hadn't appeared to have given much thought to the residents or local issues with housing. The residents' campaign led to a march to Downing Street armed with a petition holding more than 300,000 names. Photo by Chris Dorley-Brown in the Londonist Flickr pool.